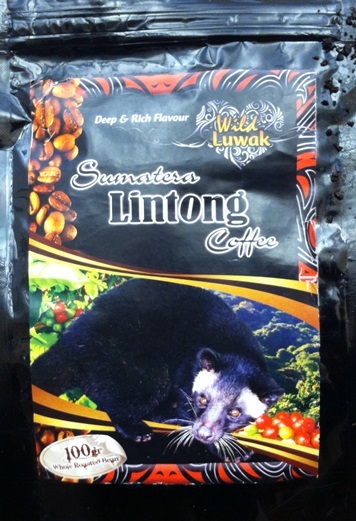 Kopi Luwak, or Civet Coffee, technically isn’t a variety of coffee but a form of processing. 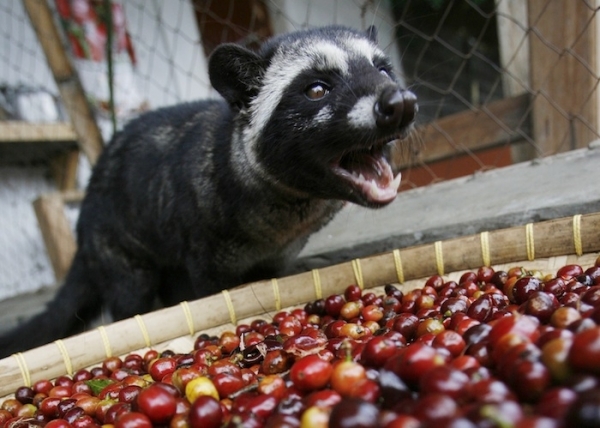 The coffee beans are eaten by an Asian palm civet and then collected after the civet is, for delicacy’s sake, finished with them. The beans are washed, roasted and marketed. Something about going through the digestive system of the civet affects the chemical properties of the coffee beans, giving coffee brewed from them a unique, bright and slightly sweet flavor. This is not inexpensive coffee, it costs as much as $150 per pound. Rob Langer picked up a 3.5 ounce bag on Amazon for around $15. We ground the beans, brewed them and sampled the coffee. See the video below for our reactions and evaluation of this unique coffee. If you have a suggestion for a type of coffee or coffee recipe we should try on the next episode of Coffee Talk, leave it in the comments section below.